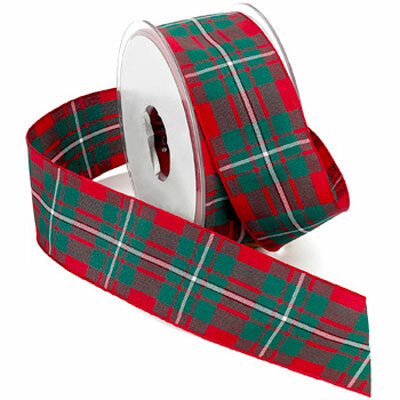 Edinburgh ribbon is a classic non wired polyester tartan plaid. Licensed by the Scottish Tartan Authority, this pattern will be sure to bring out the Scottish in you. This style is available in 17 different color patterns and 5 widths. 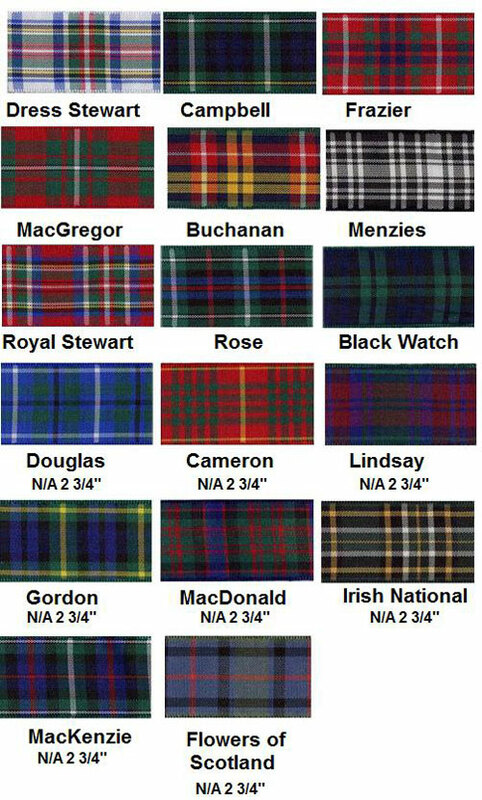 Widths: 3/8", 5/8", 1", 1 1/2" & 3 3/4"
...Select Pattern Black Watch Buchanan Campbell Dress Stewart Frazer MacGregor Menzies Royal Stewart Rose Douglas Cameron Lindsay Gordon MacDonald MacKenzie Flowers of Scotland Irish National ..